Q: What are the system requirements for Post Gopher? A: You'll need a standard host, a self-hosted WordPress site 4.4 (or higher) with a minimum of PHP 5.3 (5.6+ Recommended). This is standard on 99% of hosting platforms and a minimum standard for many commercial plugins. Q: Why is there HTML showing on the Title Page of my PDF? A: What is being shown there is the Post Extract. Post Gopher gets this from WordPress for the Post. An extract is not allowed to have HTML/CSS in it. If no extract has been set then WordPress will create one from the first few lines of the post. If you are getting HTML/CSS it is likely that you have embedded CSS and that is being pulled over to the extract. The way to avoid this is to explicitly set the extract for the post, by going to the post editor and down below the post content is the extract box. 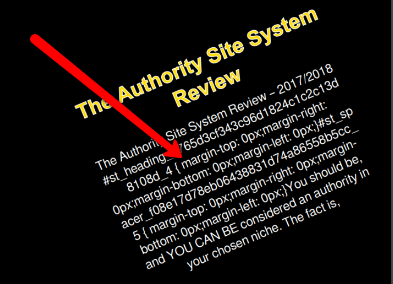 We consider it inadvisable to put CSS/HTML directly into the post body. Q: I set up the email form for Post Gopher, but...nothing happens. When the send button is hit, the download link message does not show. Q: Will the URLs of my YouTube videos be shown in the PDF? Q: Can I buy the Unlimited Site Option and use Post Gopher on my clients' sites? Q: Is the conversion to PDF done locally, completely by the plugin, or does the plugin use an external site or external code or library to facilitate the conversion? A: PostGopher does all it's work locally with absolutely no need for any external site or service. A: This error is due to the limitation put in place by your hosting provider. Many providers set the maximum upload file size at 2MB and the PostGopher zip is 2.5MB. You can contact your hosting provider and request to increase your maximum upload file size for you. Q: How do I add my JVZoo link? Q: Can I gather any other fields than name and email? Q: How does my reader know which page is ready for download? Q: Can I use Double Opt-in? A: The single/double optin is all down to the settings in your autoresponder. Post Gopher has no control over that. Q: Is there a recommended size for the logo? Q: Can I change any of the (control) text in the PDF such as "CLICK HERE TO READ ONLINE"? A: At the moment this feature is not available.